While few snakes dig their own burrows, many frequent the burrows excavated by other animals. Rodent, turtle, crayfish and invertebrate burrows are perfectly suited habitats for snakes in many ways: they have a stable climate, offer protection from most predators and sometimes hold abundant prey. Snakes have adapted to living in these burrows by evolving different morphologies, behaviors and diets. Ball pythons (Python regius) spend a lot of time in rodent burrows and termite mounds. They hunt rodents in the small passages of these microhabitats, which they kill with constriction. Ball pythons have very slender necks relative to their closest relatives, and they tend to constrict their prey with just the anterior-most portion of their neck. Though no empirical data exists, it is likely that their constricting behavior and thin necks are adaptations permitting the snakes to constrict rodents while in the cramped confines of a tunnel. Indigo snakes (Drymarchon corais couperi) of the southeastern United States may have evolved their prey-securing techniques—killing their prey with their strong bite or by thrashing them against close objects—to accommodate their tunnel-dwelling habits. Snakes that make shallow burrows through loose topsoil and leaf litter frequently possess highly polished scales. Scientists debate the adaptive function of this characteristic: some hypothesize that it lowers the friction on the snakes' bodies during tunneling, others suspect that it repels dirt, and others suspect that it plays a cryptic role, enhancing the snakes' ability to avoid detection by predators. By contrast, large species which live in rodent burrows—for example pine snakes—have rough, keeled scales, whose adaptive function is not clear. Life in a burrow limits the food items available to a snake. Most snakes that live in burrows and similar habitats predate on prey species that frequent the burrows as well. Pine, gopher and bull snakes (Pituophis spp.) 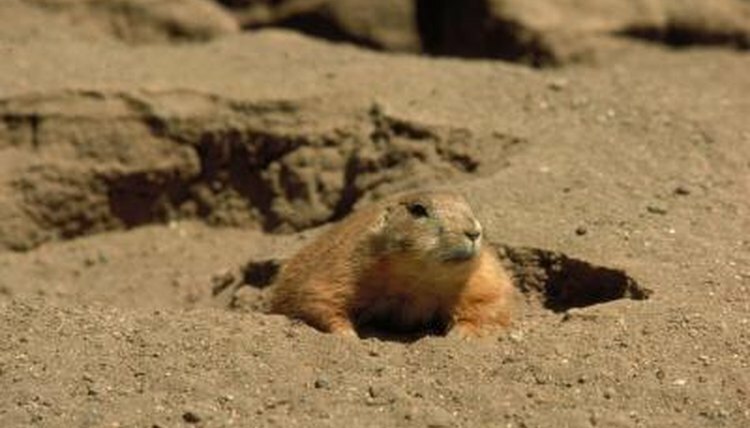 frequently live in below-ground burrows, and are voracious predators of a variety of rodents and their young. Those species that live in the leaf litter or buried in loose soil—such as earth (Virginia spp.) and brown snakes (Storeria dekayi)—usually consume worms, slugs, snails and smaller snakes. Large tunnel-dwelling species, such as indigo snakes, prey on a variety of species in burrows dug by gopher tortoises (Gopherus polyphemus), including rodents, young tortoises, frogs, insects and other snakes. Many snakes use burrows to escape the heat of summer or the cold of winter. Timber rattlesnakes (Crotalus horridus) are the most northerly-ranging rattlesnake species; though human persecution has reduced their historic range, they once lived as far north as Maine. To survive these cold winters, the rattlesnakes must find very deep burrows or rock crevices in which to pass the winter. Cracks, burrows and caves that afford enough depth to allow safe sleeping are at a premium; this has led these snakes—which are normally solitary—to adapt to snoozing in these very crowded crevices. In addition to the timber rattlesnakes, many other species tolerate these communal sites, including copperheads (Agkistrodon contortrix) and black rat snakes (Pantherophis alleghaniensis). When warm temperatures arrive, the snakes begin courting and mating behaviors while they are in close proximity, and then disperse into the countryside to avoid competing with each other unnecessarily. Where Do Geckos Hibernate When It's Cold Outside?